Two new In the Raw baking coupons have been released! You can print two copies of each coupon, from each device (including mobile)! 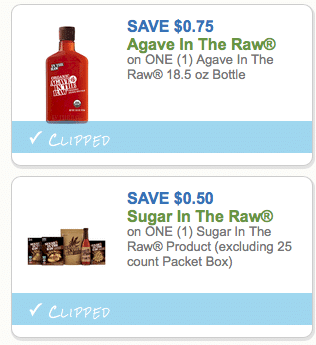 $.75 off any Agave in the Raw bottles, 18.5 oz. I’ll be on the lookout for the best deals with these coupons, so print them now so you have them handy!